This is a subject that has tremendous meaning for me, as a few years ago I coined the term The Market Complex to describe my world view on how the cultural complex plays out in our trading world. The idea behind the cultural complex is that there is another level of complex that exists within the psyche of the group. From here you can see where I am going with my thesis of The Market Complex. Have you ever felt overwhelmed by an irrational force that drives your trading in an unexpected direction? These impulses are often attributed to neuro-chemical reactions operating at a primal level of brain function. However, they can also be attributed to the emotional charge of ideas that tend to cluster around an archetypal core shared by individuals belonging to a group. These are big philosophical ideas rooted in a more esoteric branch of psychology so we don’t need to get bogged down in the jargon. The key point to walk away with is that the market as a collective can often behave in a way that makes no sense to ones own rational understanding, and even more alarming we can sometimes do things that almost feel like we are acting under the influence of an unknown force. * Prof Sanford Drob – Kabbalistic Visions: C.G. Jung and Jewish Mysticism & Reading the Red Book: An Interpretive Guide to C.G. Jung’s Liber Novus. First to get the trades out of the way selling 100 SPY at the open to lighten up my broad market exposure. I still hate this market and think it is expensive. The bulk of my time and energy is now focused on the launch of psyquation.com on the 20th May. I will write more when my schedule allows it. As we have just finished Feb I wanted to post our returns. On the positive side of things the fund is profitable; however the strength of this bounce/new high coming has surprised me. I continue to opt for a very most index exposure. I have been toying with buying some non-correlated instruments of an exotic nature, but I have decided to stay away from it and stick to my main objective of beating the S&P500 on a risk adjusted basis. Lastly, I am currently reading Market Mind Games by Denise Shull who I had the pleasure of meeting in New York in December. I will reserve comments until I have completed the book, but I will say I am impressed with her mindfulness approach. I am just wondering if I can accept her overriding philosophy within a Jungian context. Until later…..
Psyquation.com launch scheduled for May and occupying almost all my attention. This table has all you need to know to have a handle on what happened last year. I haven’t posted for sometime. I have been capturing some of my spontaneous thoughts on my twitter feed @mickson but in essence my thoughts have been almost exclusively focused on the new startup PsyQuation. About 3 weeks ago I got some sort of flu virus and tried my best to beat it. I took things slow and mostly got on top of it. Then 2 weeks ago I went to Hong Kong to meet my partner and cofounder for a brainstorm session. We had a great week but the time zone and unfamiliar climate contributed to me catching a new virus in my left eye. Wow how crappy one feels when affected by a virus. Last week I was in Melbourne where I tried to shake the virus, I took it very easy over the weekend and feeling a lot better today. I say all this while my daughter suffers with a chronic rare condition at the age of 16, having spent most of her life fighting one ailment after another. I feel so weak and moody, and basically pretty useless with the “man flu”. I think however I am suffering also from a broken heart, as a father watching his precious child suffer. I wish this was a more positive sounding post, but this is how I feel right now. The markets to me seem once again bipolar. This is not an ordinary time. 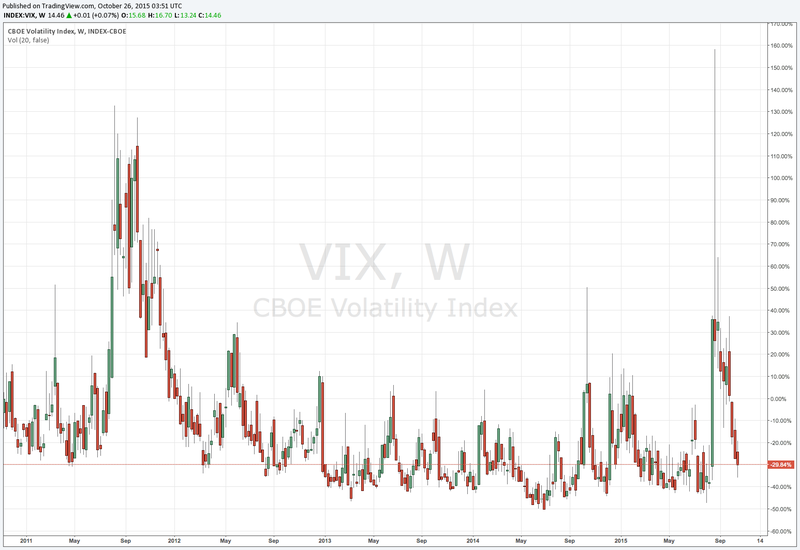 We are seeing volatility and potential manic markets, and then shhhhh, quiet. It feels like the more the market wants to express its feelings the more it is inoculated with medicine to keep quiet. I maintain we will soon see the mother of all breakdowns. I was speaking to one of my investors today and something was said that triggered a memory of something I recall learning from King Solomon in Mishlei (30:9). My investor a wealthy individual was describing his concern about his wealth following a string of unsuccessful investments. King Solomon says in Mishlei (Proverbs) “Give me neither poverty nor wealth, a lot me my daily bread.” One of the interpretations of this verse relates to the fact that it isn’t only poor people who have worries, but rich people as well. The rich fear losing what they have, this can be equally as worrying as a poor person worrying about where their next dollar will come from. Logically it doesn’t make sense but the more wealthy people I come across the more I see them suffering with stress and anxiety about hanging onto that wealth. We always say to ourselves that if only we had $X million we would be happy with no worries. Well I hate to shatter that illusion, I witnessed it today and King Solomon a thousand years ago tipped us off to this amazing insight.